Idukki is one of the most beautiful places in Kerala, and hence it remains crowded with tourists throughout the year. From exploring beautiful valleys to witnessing rich dense forests and savouring luxuriant meadows to scrutinising ancient monuments, there is a lot to do within the boundaries of Idukki. Therefore, it could be said that Idukki must be on the bucket list of every traveller and tourist. If you are planning a trip to an unexplored destination in Idukki, then you can consider visiting the surreal village of Ayyappankovil, also spelled as Ayyappancoil. It is home to several tourist attractions and is a perfect place to pacify your heart. Read on to know more about this wonderful location. Ayyappankovil is a year-round destination. However, if you desire to experience the best of this hidden village and avoid its summer heat, then the appropriate time to visit it is from September until the end of March. This is the period when you can witness the beauty of Ayyappankovil at its summit. Located in the Idukki district of Kerala, Ayyappankovil is a beautiful village which is set amid charming hills and lush green vegetation on the banks of the Periyar river. Hence, it wouldn't be wrong to say that this hidden hamlet is a small paradise within God's Own Country. It is majorly recognised for its marvellous suspension bridge and the ancient Sastha Temple. This age-old religious site is a pilgrimage amongst several local Hindus, and hence one cannot visit Ayyappankovil and miss visiting Sastha temple. 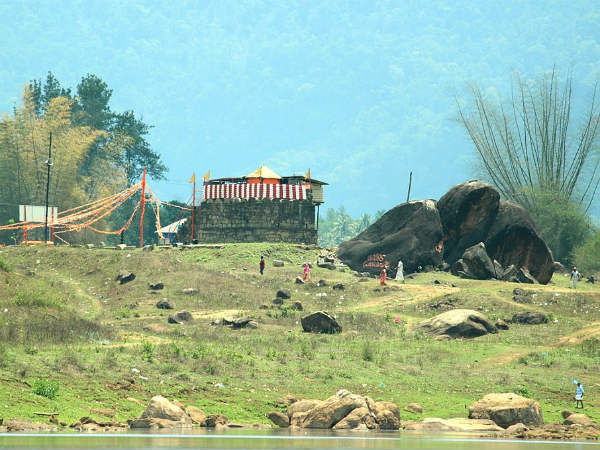 Apart from taking a stroll through its beautiful bridge and getting blessings from Lord Sastha, you can also roam around and explore the charm of its surrounding hills and forests. So, don't you think a visit to Ayyappankovil would be a trip worth remembering? Ayyappankovil is a destination for those who always prefer travelling offbeat and discovering new places. It is one of those few places in Idukki where you can find a peaceful environment and savour the best of nature in its raw form. Here, you can feel an environment filled with composure and serenity. On one hand, you can indulge in exploring the beauty of the Sastha Temple and on the other hand, you can witness the majesty of unpolluted and stainless natural beauties. Therefore, Ayyappankovil would make for a great vacation. It is here where you can learn about the raw culture of Kerala. By Air: The nearest airport to Ayyappankovil is located in Kochi at a distance of about 120 km. Once you reach Kochi, you can either hire a taxi or use public transport to reach Ayyapankovil. By Rail: You can take a direct train to Kottayam railway station and then from there, you can hire a direct cab or catch a bus to reach Ayyappankovil. The distance between the village and the railway station is 95 km. By Road: Ayyappankovil is easily approachable as it has a well-maintained system of roads.